If like many, you start to panic at the sight of your heels at this time of year due to winter neglect, fear not help is at hand! Don’t be tempted to buy the latest chemical peels promising baby soft feet. They won’t necessarily get rid of the hard skin and may ‘sting’ if they go in the cracks. Firstly, check your footwear isn’t making your heels worse. If the heel of the shoe has a hard firm edge, pressure in that area will be increased leading to cracks forming. Flip flops and sandals are the shoes which normally have this type of edge to them. Walking barefoot also causes pressure on the heels. Try instead to wear supportive footwear which fastens and holds your foot in place to reduce the stress and friction on the skin. Secondly, dry file your feet before a bath or shower once a week. This will prevent thick hard skin forming and dragging against the thin ‘normal’ skin. This pull causes the cracks to form. It is advisable to file on a dry skin, you are more likely to tear the delicate skin if your skin is wet. Use a foot file not a pumice or ‘cheese grater’ style; these will take off lumps of hard skin, resulting in lumpy callus regrowth. Thirdly, use a UREA based foot cream which is the ideal humectant moisturiser for the feet benefiting the thicker skin on the soles. Initially use a foot cream with a high urea percentage such as 25% if your skin is very dry with patches of hard skin, the urea will help to trap in moisture and break down the callus (keratolytic). A 10% cream is ideal for maintenance. 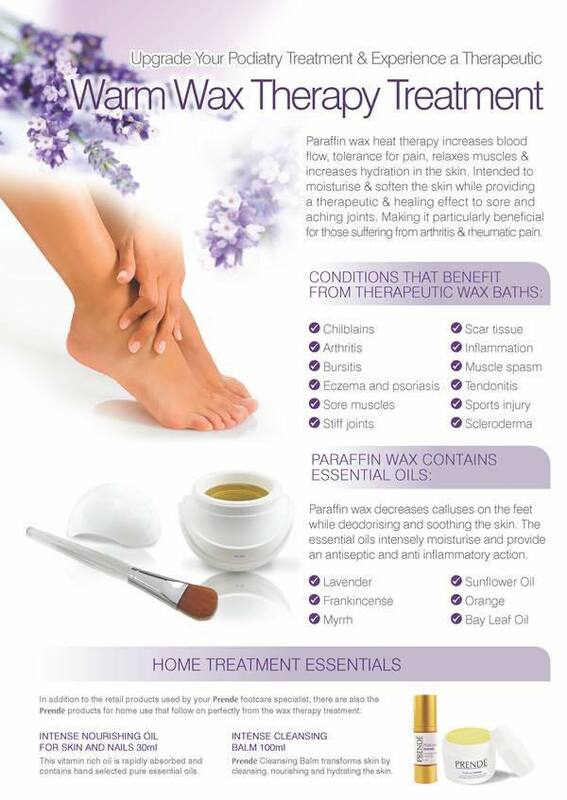 Apply a 10 pence piece amount daily to each foot avoiding in between the toes and concentrate on areas of hard skin. For best effect use 2 x daily. Petroleum Jelly has no keratolytic effect on your callus and will not break it down, unlike urea-based creams. Likewise, aqueous cream is not a specialised emollient for the foot. If the aqueous cream contains SODIUM LAURYL SULFATE (SLS) NICE recommend the product is not used as a ‘leave-on’ moisturiser as it may cause skin reactions and must be washed off. So…if after all this attention you still have cracked skin and your holiday is getting closer there is a cheap intense treatment you can try, it’s incredibly effective! After a bath/shower in the evening, apply a 25% urea foot cream to the heels and across the plantar surface (soles). Apply a clean DRY sock to both feet. Leave on overnight before removing socks in the morning and washing as normal. Repeat for 3 nights a week until your skin is soft and the cracks have gone. We don’t judge, we’ve seen it all before so please don’t feel embarrassed. In clinic we start by removing hard skin with a sterile scalpel blade, this is a painless procedure. Then a disposable foot file strip and sanding disc ensure the smoothest skin you’ve ever had! Promise. We also offer ‘Warm Wax Therapy’ in all three of our Podiatry Clinics, which increases hydration levels and blood flow in your feet. It’s our most relaxing and luxurious treatment you can experience, fantastic to get your feet ready for summer! As Podiatrists who have tried and tested most of the foot creams on the market, we only use the most effective there is. Our latest find is the ‘Dr Anders’ products and we just LOVE them! A unique velvety-soft lightweight oil nourishes and hydrates and promote healthy, soft supple skin. This product is rich and deeply nourishing which gently and safely softens hard, thick or brittle nails, improving their appearance and making them easier to cut and manage.